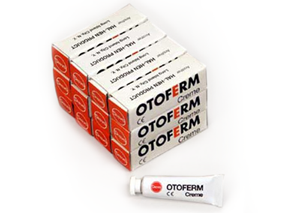 Otoferm® cream was developed to benefit all users of earmolds, canal tips, CIC, and ITE aids. Otoferm® cream provides a degree of comfort during fittings and allows insertion and removal with greater ease. Additionally, Otoferm® provides a more effective acoustic sound seal.